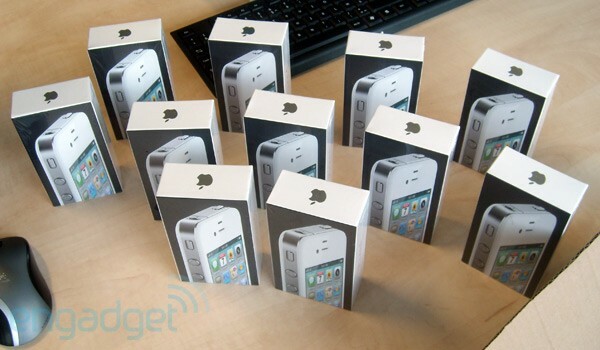 It’s been on the cards but today one Belgian retailer confirmed 100% that the white iPhone 4 is nigh, with stocks of the mythical and much-delayed device arriving ready for sale. The photos given to Engadget show boxes of both 16GB and 32GB handsets – and if you’re in the Benelux region you can even order one right now, though we obviously can’t comment on the site in question as we’ve never used them. 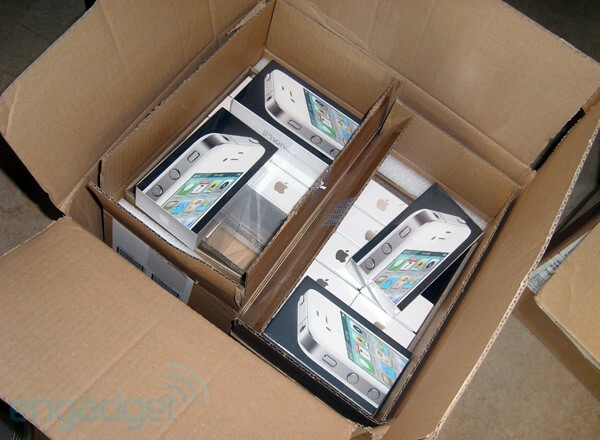 Prices are €639 for the 16GB model and €749 for the white iPhone 4 in its 32GB guise.